Oil is a vital component for your car’s operation. The Oil Change Specialists at Conaway Motors point out that oil serves as a lubricant so that metal parts in the engine will slide easily past each other. Without oil, there would be excessive wear on engine parts and increased friction during operation. Generally, manufacturer’s recommend that you change the oil every 3,000 to 5,000 miles or at minimum annually. The oil filter should also be changed each time the oil is changed. If parts of the engine are allowed to rub together, the pistons in the engine will degrade and increase the amount of friction. This would lead to overheating of the engine, causing irreparable damage to the engine. As oil absorbs particulates from normal operation, it eventually thickens and forms sludge. The sludge will clog the oil filter, preventing the flow of oil. In addition to not providing enough oil to the engine, the oil will get dirtier faster. This will cause a reduction in the speed at which the engine runs and your engine’s RPMs will decrease. 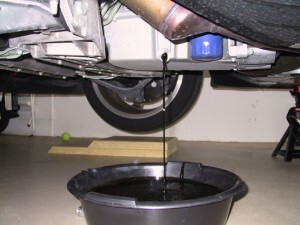 When oil is not changed regularly, sludge can accumulate in the oil pan at the bottom of the engine. This will clog the drain hole in the oil pan so that no oil will drain out. When this happens, the oil pan must be removed to eliminate the built up sludge. When sludge clogs up oil, the oil pressure will drop. The drop in pressure will prevent oil circulation.With no oil being provided to the engine’s components, catastrophic failure will ultimately result. There are additives in motor oil that are meant to increase the thickness of the oil at high temperatures and to reduce the thickness at lower temperatures. This additive breaks down over time causing premature engine wear. When you do not change the oil regularly, leaks can be masked. You may notice that your car’s engine is burning oil quickly. Continually pouring oil into the car is a sign that perhaps there is a more serious problem. To keep your automobile running smoothly, it is essential to change the oil on a regular basis. The engine cannot operate properly without clean oil. Over used oil can eventually cause catastrophic damage to your car’s engine and it will have to be either rebuilt or replaced. Though they can be inconvenient, regular oil changes are a necessary part of car ownership and maintenance. The Oil Change Experts at Conaway Motors understand the importance of regular oil changes and will follow the manufacturer instructions for your vehicle.